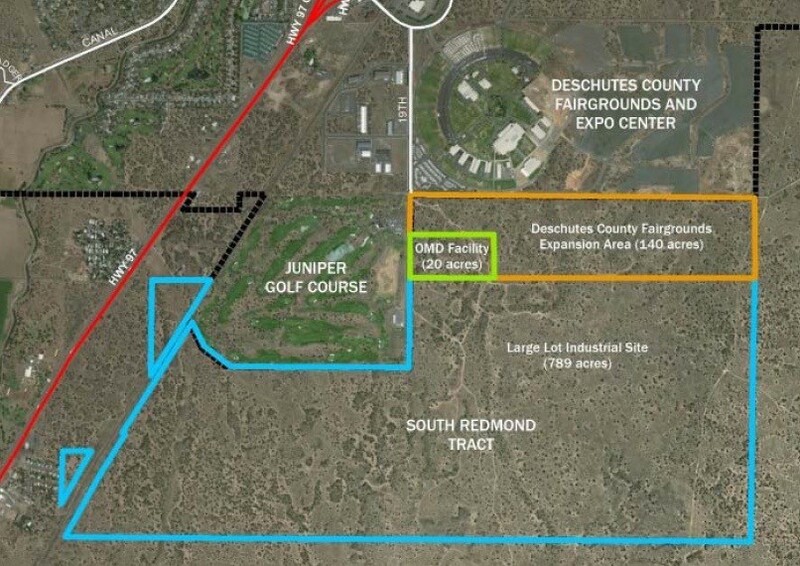 On Feb. 12, the Redmond City Council and the Deschutes County Commissioners took concurrent actions to pass ordinances to bring 949 acres inside the Redmond Urban Growth Boundary for future industrial zone development. A map shows the boundary of the new industrial zoned land and the expansion of the Deschutes County Fairgrounds. Of the nearly 1,000 acres, 140 will be dedicated to expansion of the Deschutes County Fairgrounds and 20 acres will go to the Oregon Military Department. The remaining 789 acres are set aside for industrially zoned parcels ranging from 50 to 200-acre sites, according to information from the City of Redmond. “It’s now time to roll up our sleeves and work with Redmond Economic Development Inc. and Economic Development for Central Oregon to bring family-wage industrial jobs to Redmond,” Redmond Mayor George Endicott said in a release. The authorizations for the land concluded more than 10 years of collaboration between many partnerships in the County. The land now takes the following path to move to being shovel ready in 2020: The Department of Land Conservation and Development will review for concurrence; formal annexation into the City limits and the Department of State Lands will make infrastructure investments into what is now raw land.